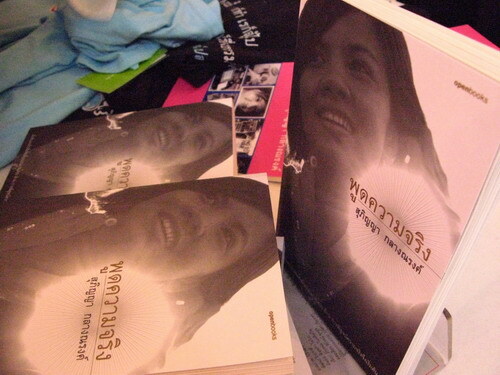 Supinya Klangnarong is a Thai journalist, university lecturer and media rights activist. She is currently the Secretary-General of the Campaign for Popular Media Reform, where she regularly works in promoting freedom of speech and human rights. The 16 July 2003 edition of Thai Post published an article which includes Supinya’s comment about how certain Thaksin Shinawatra administration’s governmental policies were benefiting the Shin Corporation. The company then filed a criminal libel suit against her and the paper, seeking 400 million Baht in damage among others. The case became Thailand’s media sensation, and sparked several reactions and debates over the administration at the time. Shin Corp later made an offer, to which Supinya refused, for an out-of-court settlement, following the sold of its shares to Singapore’s Temasek Holdings. In March 2006, the charges were finally dropped after the Criminal Court’s verdict deemed that the article is a fair criticism meant for the public’s best interest.